Visual Studio Code>Themes>LaserWaveNew to Visual Studio Code? Get it now. 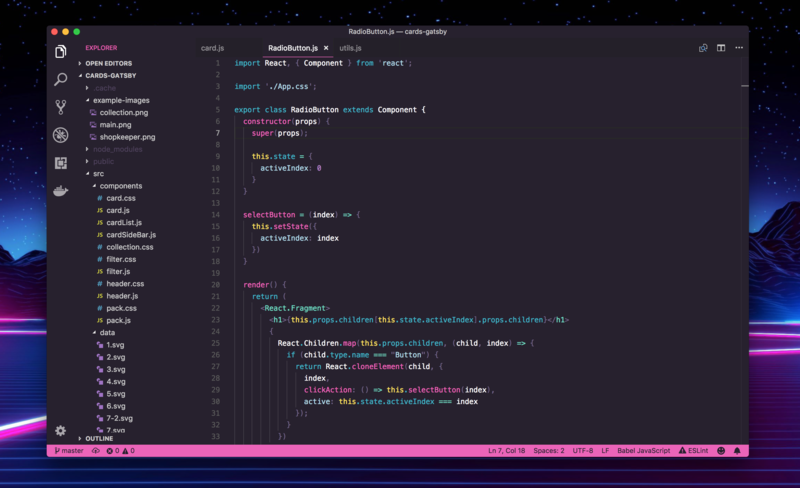 An clean 80's synthwave / outrun inspired theme for Visual Studio Code. I'm actively supporting this theme so if you open an issue I will respond ! If you would like to contribute to the project that is awesome, just please check out the contribution guidelines in the wiki before submitting a PR.